If you’re going to be offering a course online you’ll need Learning Management Software (LMS) for your online educational environment. Learning Management Software is more formally known as a Learning Management System (LMS), but you’ll also hear the phrases thrown around interchangeably. There are important differences between the terms, however. Generally when someone mentions they are looking for Learning Management Software they are more often than not saying they are looking for a platform which will allow them to offer their course(s) online. So if you’re in this group of educators where do you start? Well, you should start at the end. At the very end. Let me explain. If the answer is no, then you might want to consider doing away with the feature. As we mention in this podcast, sometimes all you need your Learning Management System Software to do is provide the digital equivalent of two chairs and a table for the teacher and student to interact. If you don’t need more… why complicate things? Start with your students’ educational objectives in mind and go forward from there. LMS features need to be “must have” tools for the sake of educational advancement, not “nice to have” tools for the sake of technological coolness. Next you need to decide how you’re going to teach your online course. Will you use asynchronous technologies, synchronous technologies or a combination of both? Asynchronous technologies break the time space barrier and don’t require that teacher and student be online at the exact same time. However, communication can still take place through discussion forums, emails, video tutorials, wikis, lecture notes and blogs (to name only a few asynchronous technologies). Or you might decide to teach using synchronous technologies that require student and teacher to be at the same digital place at the same time. For example, an audio or video conversation through Skype would be considered a synchronous technology. Knowing which of these two methods you’ll use will help you start to define a list of features you need your Learning Management Software to have. Evaluating an LMS for a small business? Be sure to check out these recommendations. For a lot of adult students and lifelong learners, grades are generally not considered as important as having some tangible new skill to take away from their learning experience. After all, at some point your students will likely know if they learned what it is you set out to teach them. Finding a way to incorporate progress measurement tools into your LMS is hugely important and will likely become increasingly important as education becomes a more competitive field. This could mean the inclusion of features like grade-books, progress bars, progress reports and so on. Learning Management System Software not only needs to meet the educational needs of students, but it also needs to meet the teaching needs of educators. For instance, how will teachers be notified when a student submits an assignment? How do they communicate with students? How do they access the class’s grades? How do they send out bulk communication to their students? How are their online classes organized? An LMS needs to be equally concerned with teachers’ needs just as much as the student’s needs. The technology used within an LMS is pretty fascinating… but it can also get pretty complex and daunting pretty quickly. Don’t’ forget, you’ll be the one working with the LMS all of the time. You’ll know it inside and out. On the other hand, your own students may not “get it” as quickly as you do. An LMS needs to be designed in a way that is intuitive and inspires the student to stay involved and engaged in their online course experience. An LMS which is overwhelming or complex will just add to the feeling of isolation for the student. You don’t want students focused on the technology. Instead, you want them focused on the content and their own educational journey. For this reason, no matter how simple you want your LMS to be, it is always recommended to include a short video or tutorial in the first section of their course that walks them through the LMS software they will be learning on. This tutorial should teach them how to send emails, contribute to conversations, submit assignments and so on. That way, once they are done educating themselves on the technology, 100% of their energy can be put into their course work. In a recent blog post about online course development we chatted with Rosemary M. Lehman, Ph.D. whose book “Motivating and Retaining Online Students: Research-Based Strategies That Work” points out that some studies show that as many as 50%-70% of students drop out of their online courses! One of the main reasons that students give for dropping out of online classes is the “feeling of isolation”. For this reason, it’s almost always beneficial to find a way to incorporate some type of social platform that allows your students and teachers to interact using both proactive and reactive communication strategies. Be sure to check out our blog post on Social LMS as one of the key components in online education. Lastly, don’t underestimate the importance of educational beauty. What exactly is educational beauty you ask? Well I’m not entirely sure… but it is something you know when you see it. For example, when you’re standing in the hallway of your university and you feel proud to be there. 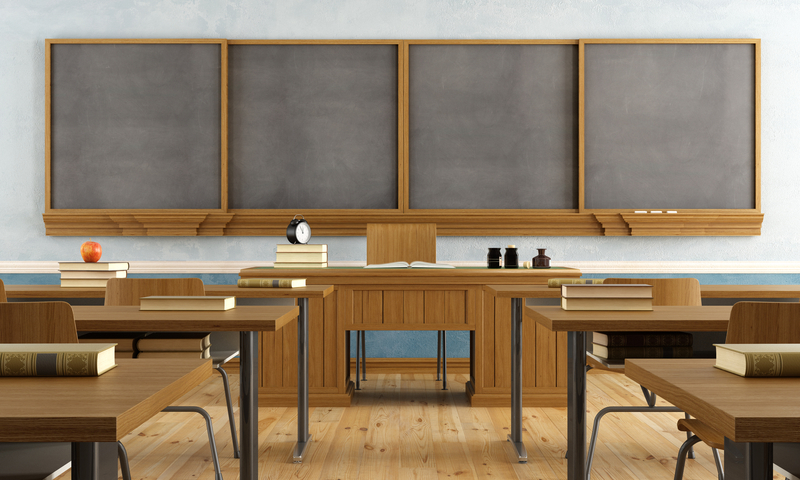 In another interview we conducted on the topic of classroom management strategies, author and teacher Michael Linsin points out that traditional school classrooms should be designed in a way that matches their call for excellence. Why should it be any different for an online school or classroom? Design your educational website in a way that makes your students proud to be enrolled in your eCourse.